CNN’s worse nightmare is coming true all while they are busy whining about Trump’s tweets. They are getting their just desserts. How are all those fake news stories working out for you, CNN? The only way to bankrupt CNN and the rest of the MSM is for everyone to cancel their cable subscriptions. Keep up the pressure my fellow Deplorables! 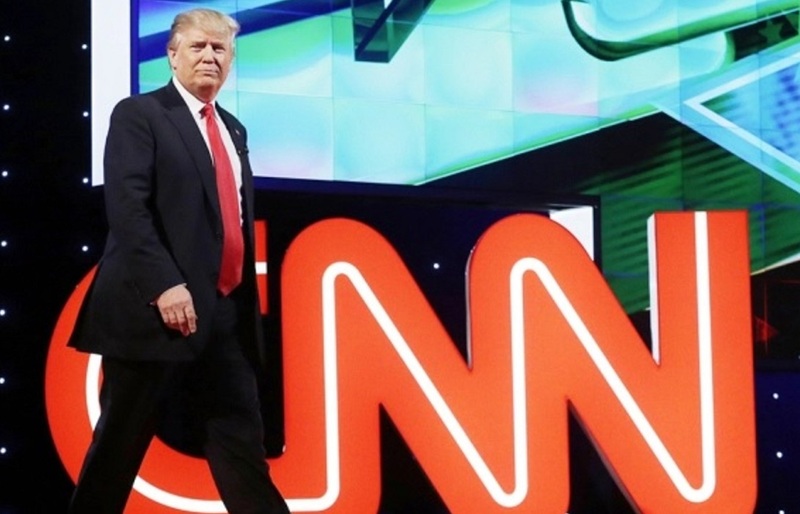 TGP by Joe Hoft: CNN’s (aka #FraudNewsNetwork) TV viewership numbers are tanking. For the month of May, CNN averaged 821,000 viewers per hour throughout the entire day and 1.12 million total viewers during the prime time hours. Comparably, FOX News averaged 1.42 million viewers per hour throughout the entire day and 2.24 million viewers during prime time, or twice as many viewers during prime time hours as CNN. By the end of June, due to CNN being caught in a number of ‘fake news’ stories, its numbers dropped significantly. On Wednesday June 28th CNN’s numbers dropped to only 666,000 TV viewers throughout the day and only 882,000 viewers during primetime. These pathetic numbers were roughly 80% of May’s monthly average for total day TV viewers and prime time viewers or 20% down. FOX News on the other hand, had TV viewership that was up from May with 1.705 million total viewers daily per hour average and 2.647 viewers during prime time for an increase of roughly 20%. It looks like ‘Fake News’ or ‘Fraudulent News’ does not pay as Americans are more interested in the truth than they are made up stories and the daily TV viewership numbers prove it.